Despite their cute, feathery appearance, birds can have a detrimental effect on building materials. The longer you put off bird proofing your building, the quicker a bird problem can spiral out of control. Birds are constantly seeking the perfect shelter to set up their nest. If they think your building is the place to do so, you’ll have a job on your hands to get rid of them. Not only will they consider your building ‘their territory’, they’ll invite all their friends from the bird community to nest there too. Before you know it, you’re in the realms of bird infestation. When we think of pests, birds aren’t the first thing to come to mind. But we can certainly put them in the pest category when we’re discussing the damage they can cause to building materials. If you want to ensure your building is protected from the horrors of bird infestation, have it professionally bird proofed. Our bird proofing techniques are both humane and extremely effective. 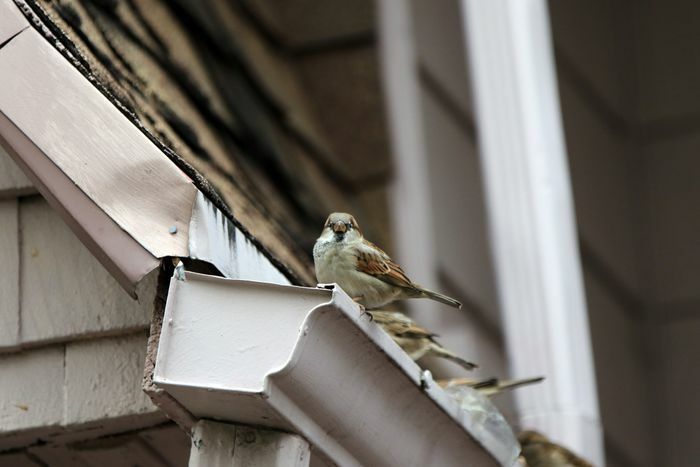 Just how detrimental is bird infestation? Large quantities of bird droppings can rapidly corrode building materials as well as present a biological hazard. Bird droppings can carry disease. As many birds love to nest near outdoor ventilation intakes such as HVAC systems, an accumulation of droppings can enter the air inside the building, posing a health risk to occupants. The acidic properties of bird droppings also mean they corrode building materials and severely damage roofing systems. Birds produce a vast amount of waste which quickly collects in drains and gutters and causes blockages. And as bird droppings often carry seeds, you could end up with an array of unwanted vegetation growth in various parts of your building’s exterior. 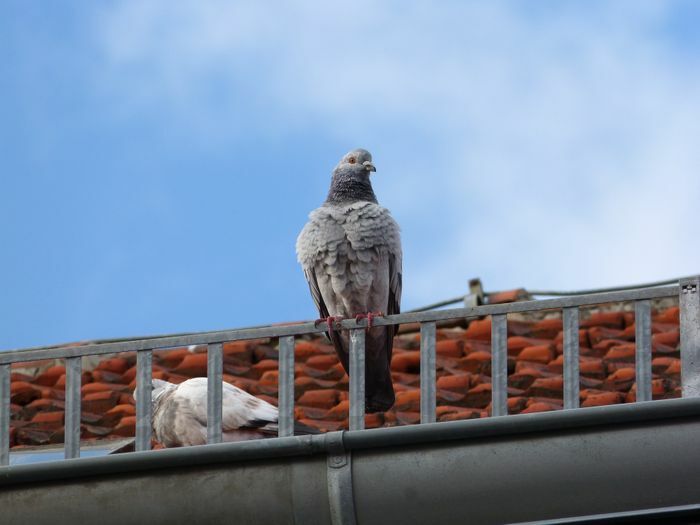 Bird proofing a building begins with identifying issues. As all buildings are shaped differently and used for different purposes, choosing the right bird proofing systemis not a one-size-fits-all situation. You’d be surprised at how many areas of a building have evidence of nesting. As we have the equipment and expertise to check the building in its entirety, we can ensure a full prevention of future infestation. These are upward spikes that prevent birds from landing on surfaces. Bird spikes irritate birds but don’t hurt them. This comes in a gel that is applied to ledges, beams and columns. The gel is non-toxic and will not hurt the birds or harm your building materials. The texture of the gel is what makes the building undesirable place to land. This is a versatile and popular bird proofing system. We can fit nets to a wide range of architectural structures. We use the best netting and fastening materials and the nets do not harm the birds. The purpose of a wire deterrent is to create an unstable landing area. This is ideal for larger birds such as seagulls and can be applied to a variety of different areas of a building. The Hot Wire System is versatile and can be applied to any architectural structure. It is a low visibility Hot Wire Flex-Tape which becomes electrified when connected to an energy source. Galvanized steel won’t rust which makes this plating system a great long-term solution. We fit the galvanized plate to narrow spaces to prevent birds from entering. Bird decoys are effective for low to medium bird populations. These can either be stationary decoys to hang or position, or active robotic decoys with controllable movements. 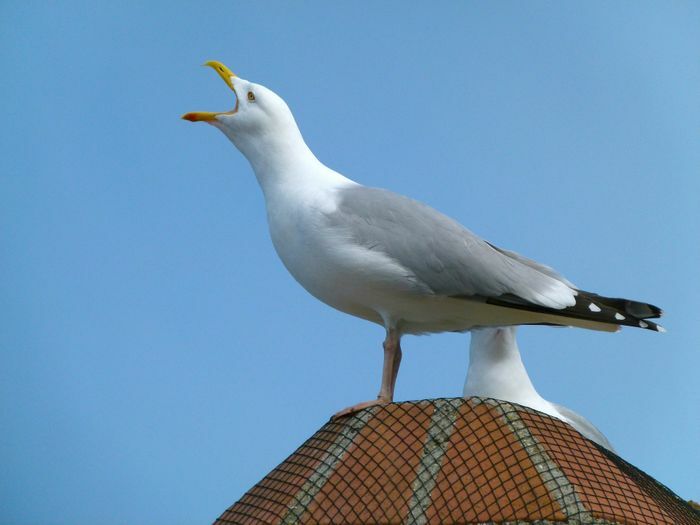 We stock a range of ultrasonic systems that deter birds from landing on your building. These irritate birds and create an undesirable landing environment. As with most building maintenance, bird proofing should be regularly scheduled. Ongoing maintenance of bird proofing systems will ensure your asset is protected long term. It is far more cost effective to have to have us thoroughly check your bird proofing systems once a year than wait for a problem to arise. We have a vast understanding of different industries and the standard required for minimising bird issues. We also work around the clock to ensure as little disruption to your operations as possible. If your building is particularly prone to birds or you just want to take measures to avoid them visiting in the future, have a chat to our team about what systems would best suit you. Call us today to see how we can help.